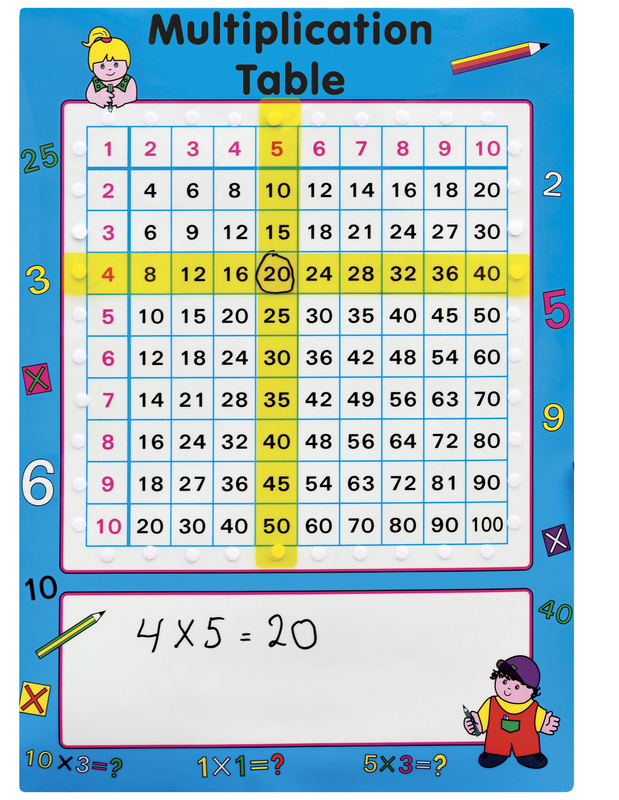 Using the Multiplication Table will make teaching multiplication a lot easier. The Table is easy to use and very sufficient. 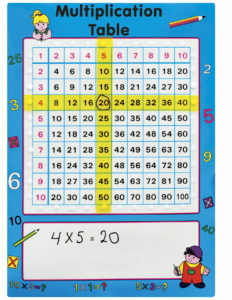 Simply place the yellow stripes on the table and find the correct answer of each multiplication. This gives a simple insight into how multiplications work. The yellow stripes are attached to the Table with Velcro. The Table and stripes are made of a high quality plastic. Both can be written using a whiteboard marker. The table is easy to attach to the door or wall by means of Velcro. Dimensions: appr. 49,5 x 5 x 69 cms.